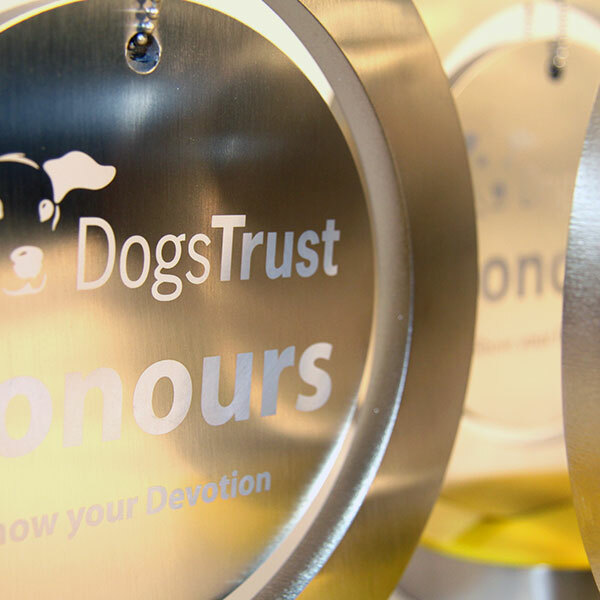 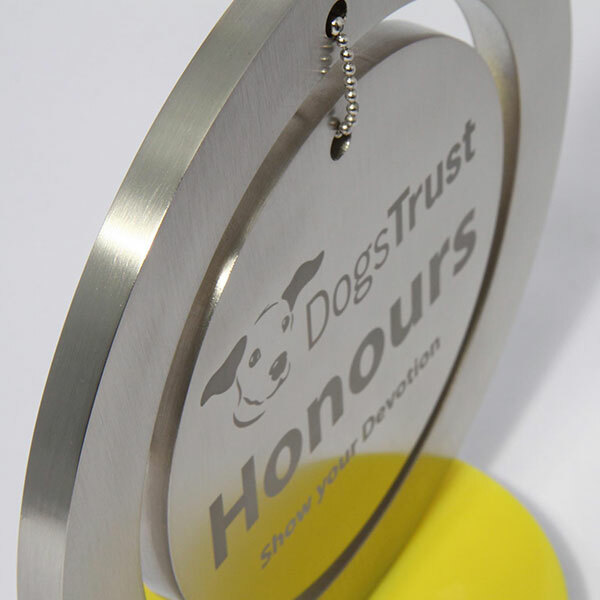 Dog tag inspired brushed nickel plated aluminium award with ball chain detail. 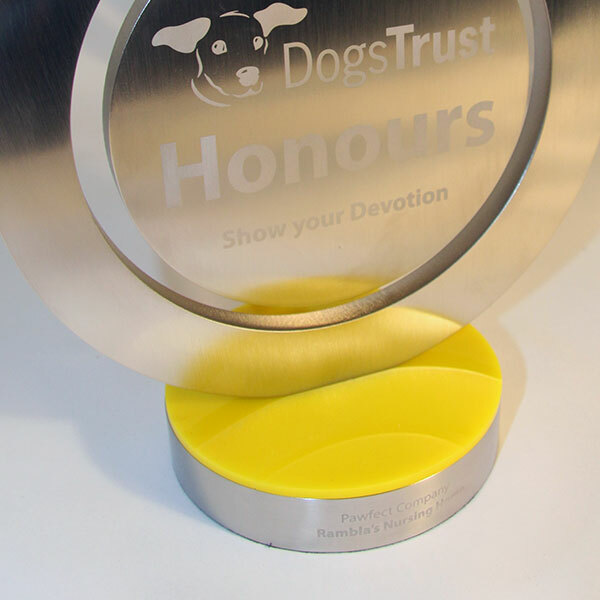 Combined with yellow acrylic to form an impressive trophy to recognise achievement within this dog welfare charity. 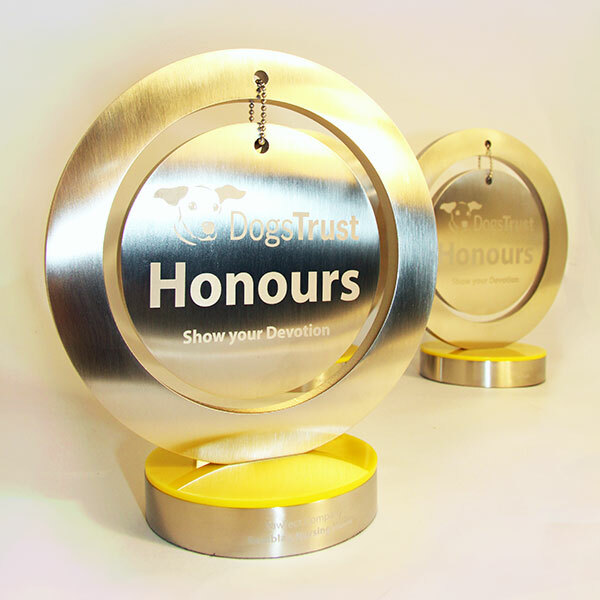 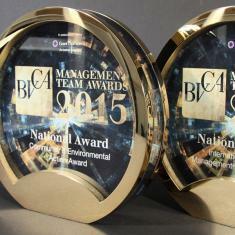 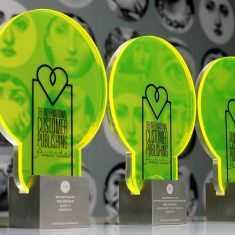 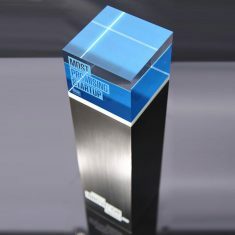 Each award is laser engraved with logo & winners’ detail.